Hello my darling Gentle Reader, you’ll notice the blog was a tad scarce last week. I’d apologize but I was away having way too much fun, and one should never apologize or excuse a really good time. I took myself off to some lovely hills and beautiful trees (and a bit of bad weather) to hole up in a super secret evil genius layer and write like the wind. I wanted to see how much I could do without distractions (from 4-8k a day, it turns out). Even though I cannot afford to repeat the process often, it was really good for me on an emotional level, and I learned a lot about myself as a writer. Also, I wrote a scene so funny I made myself cry ~ that NEVER happens. I look forward to seeing what you think of it, next year sometime. 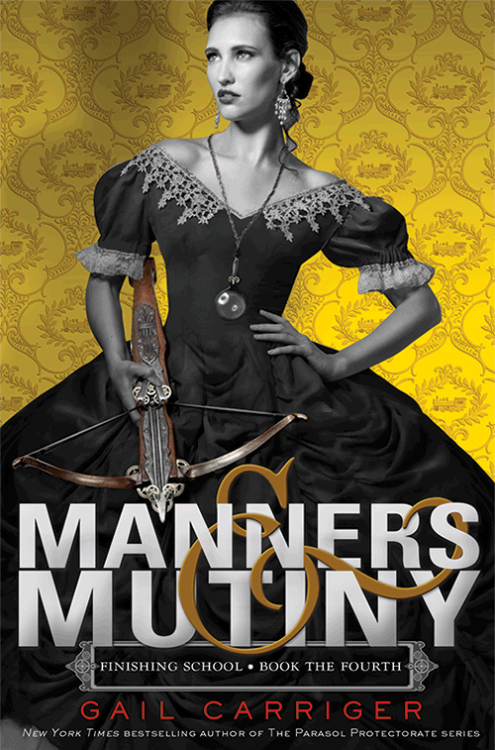 Little Brown dropped the (not quite finished) cover art and announced the release date (November 3, 2015) of the final Finishing School Book: Manners & Mutiny. Borderlands Books was saved (for a year at least). This last was an unexpected pleasure… no really. My agent actually did a blog post about why this is such a surprise. It was due to the $1.99 ebook promotion, thanks so much to all of you who jumped on it. I know many already had the books and simply bought it in ebook to have a backup copy. You are the tea beneath my wings! If you are wondering where the customary beginning of the month book review is, I dropped it over into the discussion on Goodreads. I’ll likely do that again on occasion, to give me more space in this blog, and because not everyone is interested in reading reviews.